The chevron pattern is everywhere, and we LOVE it. We basically want to decorate our entire house in chevron, so we started with this project. There are zillions of tutorials for different ways to make the tutorial pattern, but we came up with our own. Hopefully you will find this tutorial helpful in creating the perfect chevron pattern. You will need: A blank surface (we used an 16"x 20" canvas), a ruler, a pencil, painter's tape, x-acto knife, and one spray paint color. For the first few pictures we will be using a diagram we created as the real dots were not dark enough to see through the camera. Next, create dots with your pencil. On each edge of our canvas we placed 5 dots, equally spaced. On the longer side this ended up being a dot every 5 inches and on the shorter side it was a dot every 4 inches. 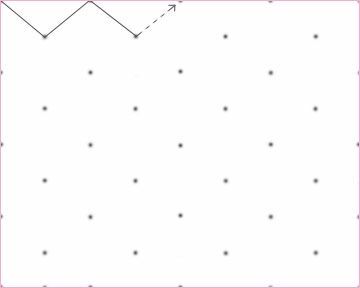 In the next step, line up a ruler diagonally with the dots. 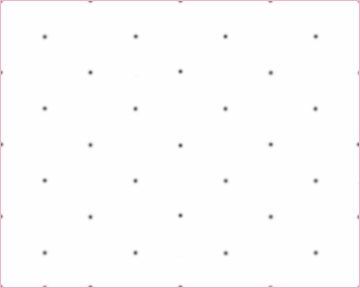 Place a dot directly in the middle of each set of two dots. 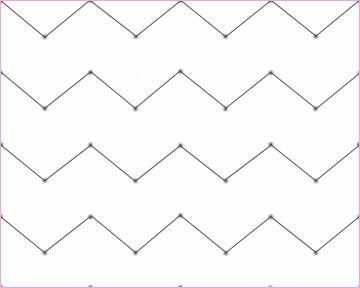 Next you will connect the dots in the chevron shape like the picture above. When you are done drawing lines it should look something like this. 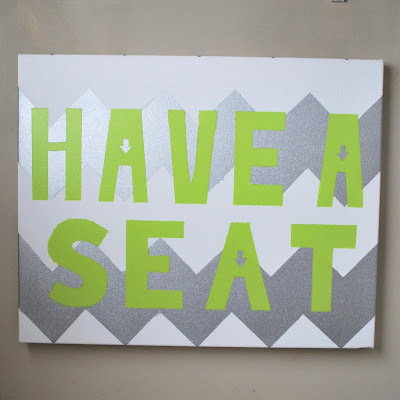 Next, fill up the spaces with painter's tape and cover any part of the canvas you don't want painted. In this part we took an x-acto knife and made the edges straighter. Spray paint the empty spaces (or the whole canvas as we have done). When the paint has dried, remove the tape and then you have a perfect chevron print. 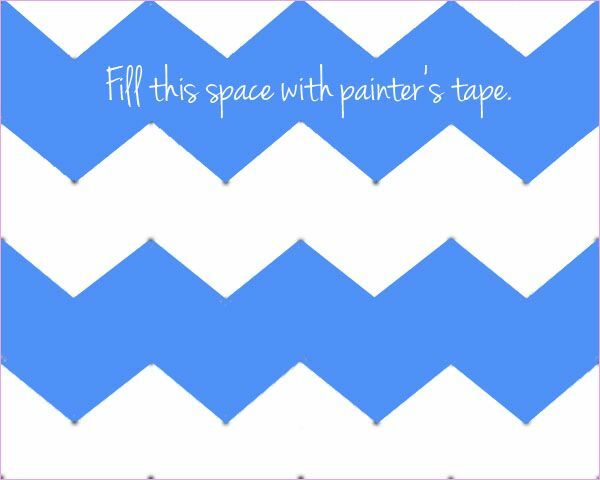 If you wanted to have this chevron print in two colors (not using white), you could paint the whole canvas first and then proceed to add the dots, tape off the canvas, and spray paint with another color. The options are limitless for what you can do with this simple chevron pattern. Be on the lookout for our finished chevron print hanging up- we will be posting pictures of some new decor very soon. Also, makeup tutorials will be coming by the beginning of next week. Hope you enjoyed the tutorial! P.S. This is what our finished piece looked like with words! Check out our whole bathroom decor here!